These worksheets can be used as a video guide to hold students accountable as they watch the video. It can also be used as a video quiz to assess student learning. 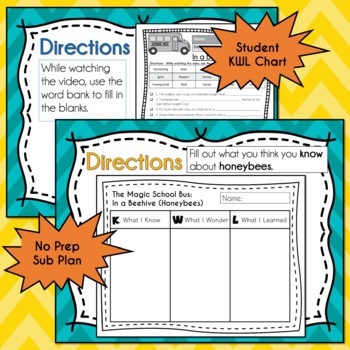 Use the included PowerPoint presentation to have students check their answers and fill out their KWL chart. These activity is great for sub plans. 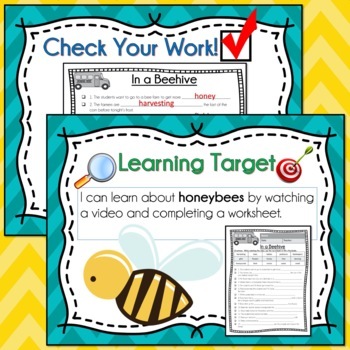 Just pass out worksheets, play the video and click through the slides. You can also use this activity for building student's background knowledge before beginning a topic unit. Don't forget to leave feedback for FREE TpT CREDIT! 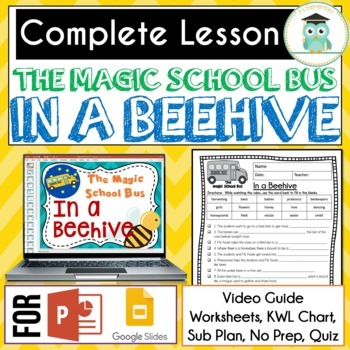 This item is a paid digital download from my TpT store (https://www.teacherspayteachers.com/Store/Its-Elementary-Store) As such, it is for use in one classroom only. This item is also bound by copyright laws and redistributing, editing, selling, or posting this item (or any part thereof) on the Internet are all strictly prohibited without first gaining permission from the author.Violations are subject to the penalties of the Digital Millennium Copyright Act. Please contact me if you wish to be granted special permissions!